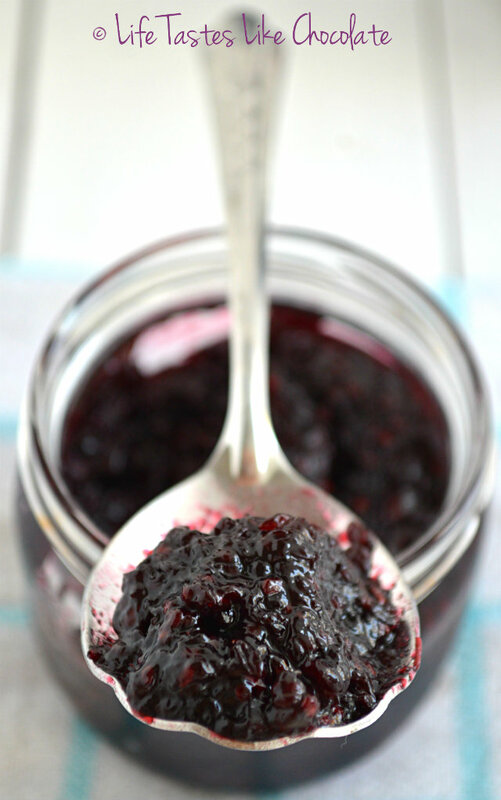 Homemade jams have always been my favorite breakfast with a bit of butter spread on some bread. I love their texture, sweetness streaked with acidity and that feeling of home that they awaken. Although I love my mom’s jam, I have the best memories of my grandmother’s baked plum jam, especially that one time she forgot to remove it from the oven in time. This created such a wonderful, slightly too thick crust on top that preserved the wonderful aroma of the jam. I normally love plum jam the most, and I plan to make it myself for the first time this year – if I get a hold of some organic plums. Wash the berries, place in a wide bottomed bowl and add the other ingredients. Simmer over low heat until the sugar is dissolved, then turn up the heat a bit so that the mixture boils constantly. Regularly stir so the berries don't burn. The mixture will be quite liquid, but it will soon start to reduce and turn into syrup. Cook on medium heat with regular stirring until the syrup reaches 'jelly point' - It's the moment when it's thick enough that it can coat the entire spoon without excessively leaking from it. It took me about 45 minutes of cooking. Meanwhile, sterilize the jars and lids so that you boil them for 15 minutes in boiling water. Place the finished jam into jars, seal and return to the hot water for another 10 minutes. Remove, cool and store in a dark place. When cooled, the jam will thicken and become compact. When stored this way, the jam can keep about one year, and once you open it, keep it in the refrigerator. Bon appetit! I like pieces of fruit in my jam - so I didn't remove the seeds. You can, of course, run it through a sieve prior to canning.